Twitter has become an integral part of our social media lives, marketing strategies and business objectives. We have multiple accounts, hundreds of followers to watch, Twitter trends to track, #hashtags to follow, and a frequent need for continuously updating search results. Twitter Tools are applications that run directly on your operating system whether that is Linux, Windows, or OS X. One of the key strengths of Twitter applications is that they allow you to keep a constant eye on your Twitter stream due to the dedicated application window and process. Nowadays there is a trend People engage in the conversation by using the golden rules of Twitter. This means that it is a good idea to more or less have the same ratio of following to followers. There are some reasons that why you should use these Twitter tools as they fit your need and requirements. If you are not following people than you can not engage in conversation. This is not a good idea just to hear yourself, lets the other speak to you. When you listen to others that’s mean you are learning from others. In this world, there are lots of other people who have more knowledge than yours. Nobody is perfect, so you are not an expert in everything, there is a need to explore others knowledge. There is some self-proclaimed Social Media Expert. Someone not into pumping EGO – EGO in the sense of modern negative connotations. You have a larger group of friends that you can talk to. You have more opportunities to engage in the conversation. It opens up new opportunities and networking results. If you like additional tools and services, please share them in the comments. Commun.it is one of the most easiest Twitter Management Tool that not only helps you to grow your twitter followers but engage them in a very product ways. This tool is considered as #1 option and must be tried before using any other Twitter tools. Commun.it can help you to sustain the interest of your Twitter community. TweetDeck is your personal real-time browser, connecting you with your contacts across Twitter, Facebook, MySpace, LinkedIn, Foursquare, Google Buzz and more. TweetDeck’s claim to fame is its multiple column layout. This allows users to segment their Twitter streams into groups. It allows for multiple simultaneous users to monitor conversations related to the brand, assign actions to other team-mates on the community management team, schedule messages, and reply from different accounts – all from one window. Splitweet is a multi-account management dashboard for corporate users and brand managers. 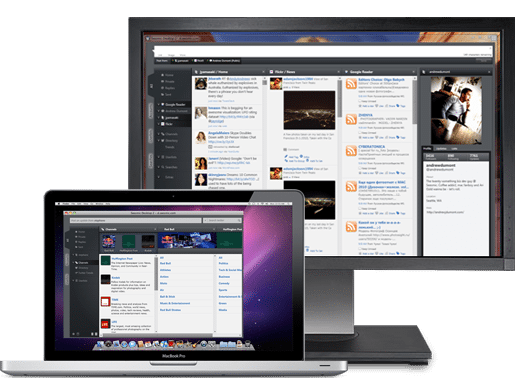 Designed for power users, it provides seamless management, monitoring and communicating across several twitter accounts simultaneously – all from one place. TweetGrid is also a listening dashboard for Twitter. It offers community managers and communications professionals the ability to simultaneously monitor keywords, brands, competitors, executives, etc. all within one window. Tweetbeep is the Google Alerts for Twitter and is a “listener’s” dream service. TwitThis is really a potentially powerful and game-changing service if it gets traction. Diigo.com offers one of the most feature-rich and robust social bookmarking / web annotation services on the web today. Via Diigo’s “Twitter-this” feature, you can easily share interesting websites or content on Twitter with a shortened URL – from the page, you’re visiting. EasyTweets is a solution for pre-scheduling tweets. Brand managers and customer service and communications professionals can also manage multiple Twitter accounts, check replies, and track new followers from one central hub. Power Twitter is a powerful plug-in for FireFox that moves many disparate services and capabilities into one central location – right in your browser. It is your personal networking assistant on Twitter. It helps you easily build meaningful relationships by looking through your network and tweets. Mr. Tweet will then suggest new and relevant tweeps and existing followers you should also follow. “He” also provides usage statistics that help you improve your engagement level on Twitter. TwitterSnooze is a very welcome solution. It provides the ability to “snooze” certain friends for a pre-determined period of time. If you’re daring, you can also publicly tweet that you’re snoozing someone. Monitter is a dashboard for searching up to three keywords on Twitter and reviewing the results in three distinct columns. OutTwit might just be the tool that bridges Twitter to the enterprise. 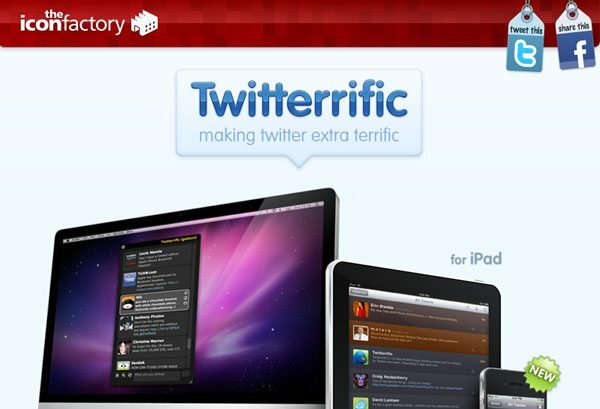 Twitterrific is a Twitter client for OS X and iPhone. It has a long history with Twitter users and has been around since early 2007. It is strictly a Twitter client and does not interface with other social networking sites such as Facebook. It also cannot manage multiple Twitter accounts, but its small desktop footprint and simple interface make it a popular choice among Twitter users.